The industry’s use of abbreviations can be overwhelming to an end user of security products and services. To name just a few, there’s PoE, SaaS, IP, VoIP and SIP. What’s SIP? It’s kind of like VoIP. But it’s different. Let’s take a closer look at the alphabet soup and then we’ll share how SIP is making the next generation Aiphone IX Series 2 Peer-to-Peer video intercom an even more valuable addition to a layered security system. VoIP stands for Voice over Internet Protocol. It’s a broad term covering any phone call made over the internet. The protocol requires a VoIP-enabled phone, software, and an internet connection. Once a VoIP phone is set up, it works just like any traditional telephone on the PSTN (Public Switched Telephone Network). SIP, or Session Initiation Protocol, is one software-based method of delivering VoIP. But unlike VoIP, it can deliver much more than voice communication. SIP can also communicate video, instant messaging, and more between two or more network endpoints. It’s great for video conferencing and you can’t beat the price. Get a SIP address and contact any other SIP address for free, anywhere in the world. SIP provides tremendous efficiency, scalability, and reliability. And it can be used as a standard phone or run on devices such as desktop computers, tablets, or video intercoms. That’s where we come into the picture. 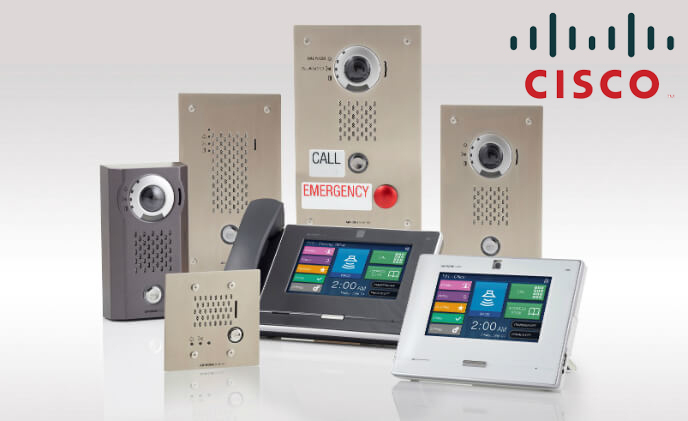 The IX Series 2 master, door, and emergency stations can tie into a SIP IP PBX server to connect with other SIP-enabled devices on the network. That may be a parking lot gate or ticket dispensing machine. There’s no break in security, as calls can be forwarded to an external number, such as an off-site security operations centre or even 999.